So he made the milkshake and gave the gorilla $3 in change. “For of this you can be sure: No immoral, impure or greedy person—such a person is an idolater—has any inheritance in the kingdom of Christ and of God.”—Ephesians 5:5. 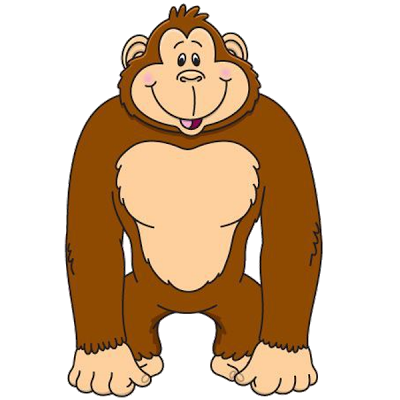 This entry was posted in Christian Living, Humor and tagged cheating people out of money, Ephesians 5:5, gorilla cartoon, gorilla joke, greed, honesty, illustration, kingdom of God. Bookmark the permalink.